Chef Connie Tran’s bi-monthly pop-up exploring Vietnamese food traditions brings together classic Vietnamese dishes with a smattering of twists that a Vietnamese grandma probably wouldn’t approve of, in a good way. Filing my second Scouting Report, “BEP Kitchen is for Vietnamese food lovers seeking to go beyond pho,” on the Los Angeles Times‘ Daily Dish. Bon appetit. The chef: Connie Tran, from the Vietnamese coastal city of Nha Trang, honed her cooking chops in and around Orange County, first in Little Saigon at her uncle’s restaurants and later on at her mother’s Cafe D’Orient. Most recently, she cooked a mostly Mediterranean menu at Zov’s Bistro in Tustin. 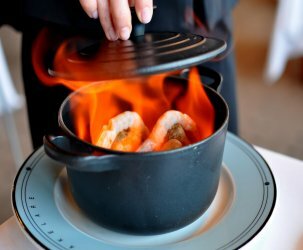 What dish represents the restaurant, and why? Chao sang, snowy white rice porridge topped with lardon crisps and a poached egg and drizzled with sage brown butter. 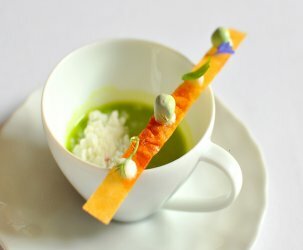 A plain canvas is transformed into an unexpectedly rich and wholly comforting landscape under Chef Tran’s care. Runner up: Bo la lot, skewered and grilled beef wrapped in betel leaves. This combination of spiced and charred meat could be the next star in the Vietnamese culinary canon. Dunk into the accompanying fish sauce vinaigrette with gusto. 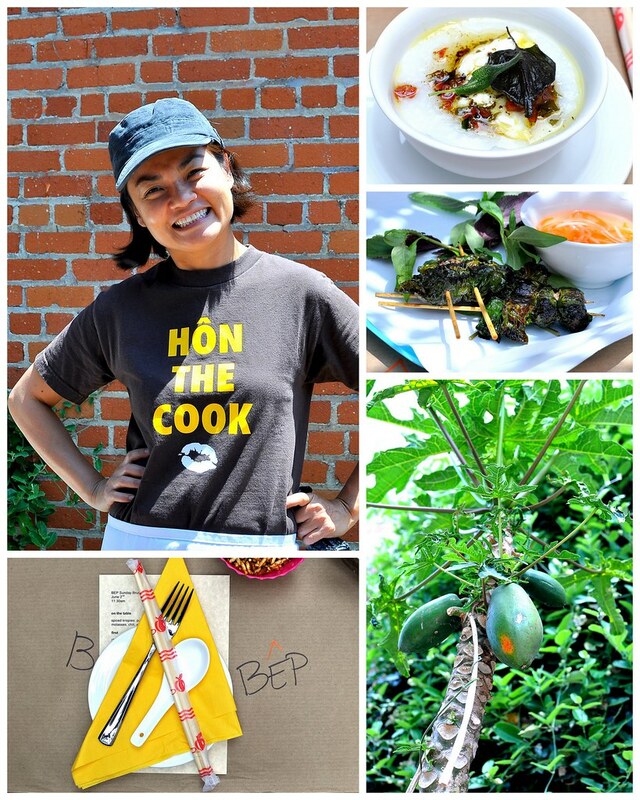 Concept: A bi-monthly pop-up exploring Vietnamese food traditions, held every other Sunday at 11:30 a.m. The menu, eight courses priced at $37 per person, brings together classic Vietnamese dishes with a smattering of twists that a Vietnamese grandma probably wouldn’t approve of, in a good way. Who’s at the next table? An adventuresome and curious crowd in both directions. Staffers from Son of Gun, Cooks County, and Picca revel to my right, while a middle-aged couple takes food and scenery photos with their iPad to my left. 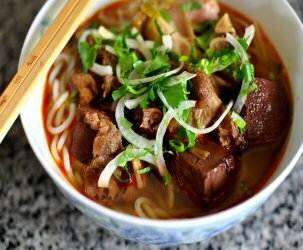 Appropriate for: Vietnamese food lovers looking to branch out beyond pho. Uh-oh: The current venue offers little shade — scorching rays make for sunburned shoulders and sticky legs. Lather up on sunblock beforehand to avoid the former, but the latter might be unavoidable. If you close your eyes real tight, it feels just like Vietnam. Service: Competent and smiling. Bonus points earned for pronouncing each dish in Vietnamese with confidence. What are you drinking? Bubbly limeade from a plastic cup while wishing just a little that I had taken a look at the list of wines suggested by sommelier Janice Honbo on BEP’s Facebook page. Info: Through summer, the “Gallery Room” at Daily Dose Café, 1820 Industrial St., Los Angeles 90021, www.bepkitchen.com.